Q: Can you give me a general overview of the EPA’s cradle-to-grave rules and what it means for hazardous waste producers like body shops? A: The Resource Conservation and Recovery Act (RCRA) Subtitle C establishes a federal program to manage hazardous wastes from cradle to grave. The objective of the Subtitle C program is to ensure that hazardous waste is handled in a manner that protects human health and the environment. In order to achieve this, there are Subtitle C regulations for the generation, transportation, and treatment, storage, or disposal of hazardous wastes. 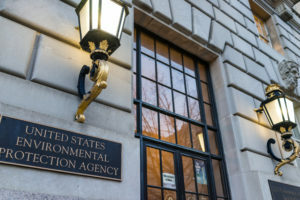 States become authorized to implement these regulations in lieu of the federal EPA, and are therefore largely responsible for running these programs. Q: What kind of mitigation costs or other penalties does a waste producer face if it turns out their disposal company did something improper with their waste? A: Mitigation costs and other penalties are case specific and based upon the type, seriousness, and duration of violations. States may be able to provide examples of costs and penalties that generators have incurred but there is a wide range in penalty amounts and in the extent of work that may be needed to come into compliance. Q: What kind of paperwork, etc. should a waste producer look for in choosing a waste disposal company? A: We recommend that facilities work with their states to identify options for waste disposal companies, for example, to confirm that the facility has the appropriate permits and to identify any potential compliance issues. Another resource for generators should they want to look up federal environmental compliance information on waste disposal facilities is EPA’s website: https://echo.epa.gov/. Q: What kind of records should the waste producing business keep on hand? For how long? A: There are specific regulatory requirements that govern recordkeeping under the RCRA hazardous waste program. There are three categories of generators (i.e., waste producers) that are subject to regulation, dependent largely upon how much hazardous waste they generate in a calendar month: Large Quantity Generators, Small Quantity Generators, and Very Small Quantity Generators (formerly known as Conditionally Exempt Small Quantity Generators (CESQGs). For more information about the generator categories, please see our website at: https://www.epa.gov/hwgenerators. (a) A generator must keep a copy of each manifest signed in accordance with §262.23(a) for three years or until he receives a signed copy from the designated facility which received the waste. This signed copy must be retained as a record for at least three years from the date the waste was accepted by the initial transporter. (b) A generator must keep a copy of each Biennial Report and Exception Report for a period of at least three years from the due date of the report. (c) See §262.11(f) for recordkeeping requirements for documenting hazardous waste determinations. (d) The periods or retention referred to in this section are extended automatically during the course of any unresolved enforcement action regarding the regulated activity or as requested by the Administrator. Q: Is there any bulletproof means a repairer can use to dispose of their waste and be sure the EPA won’t be contacting them about an issue years later? For example, I’ve heard references to something called a “certificate of destruction” – is waste destruction a viable option, and what happens in terms of shop liability if their hazardous waste contractor lies about the destruction? Q: Any guidance for body shops on storing waste prior to the handover to the disposal company?